That’s what I’m talking ’bout! 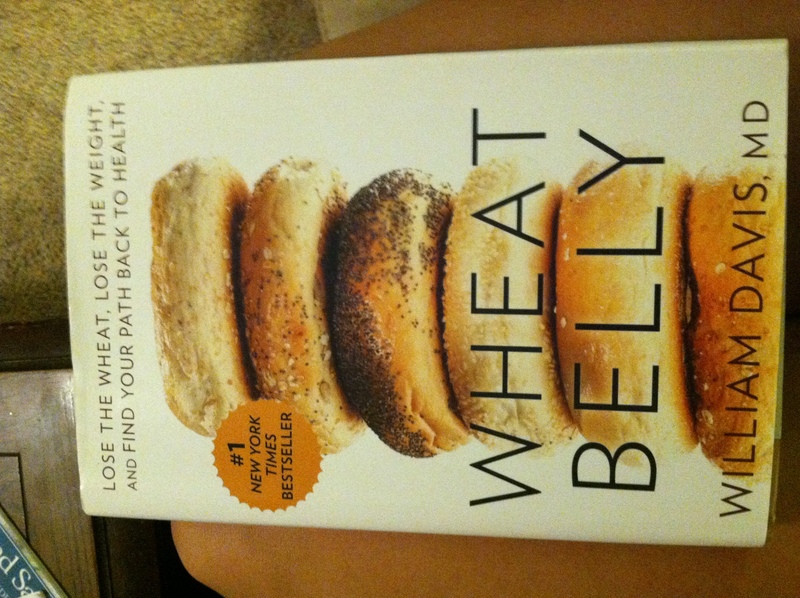 Me: I don’t eat wheat. “Normal” Person: What? I could never do that! I love bread. Anyways my abhorrence of the evil master grain led me to opening my computer and typing a post to inform you, and give you options. If you’re thinking, no wheat? What the hell is for dinner then? I have an answer for you. A delicious, sweet and simple recipe for you to enjoy. Makes approximately 4 servings *I only eat half of my half and save the rest when it is paired with a hearty dinner, otherwise if it’s the main dish, this is only a two serving portion. If you’re a beast, or you live with a beast, grab a big ‘ole knife and chop your acorn squash in half. These halves have to sit in a pan without wobbling too much, so I cut with the stem in the middle, not with the stem on one half and the bottom on the other. If there are no beasts around, you can cook the squash whole for 45 minutes to soften it and then cut it in half and skip to step 4 – this takes more time. Place the two halves in a casserole dish with the insides facing down. Fill the pan with about a 1 1/4inch of water. Cook for 30 minutes. While the squash is in phase one of cooking, make the filling using the additional ingredients. Remove squash halves from the oven and drain the water. Flip them over and fill them with the stuffing. 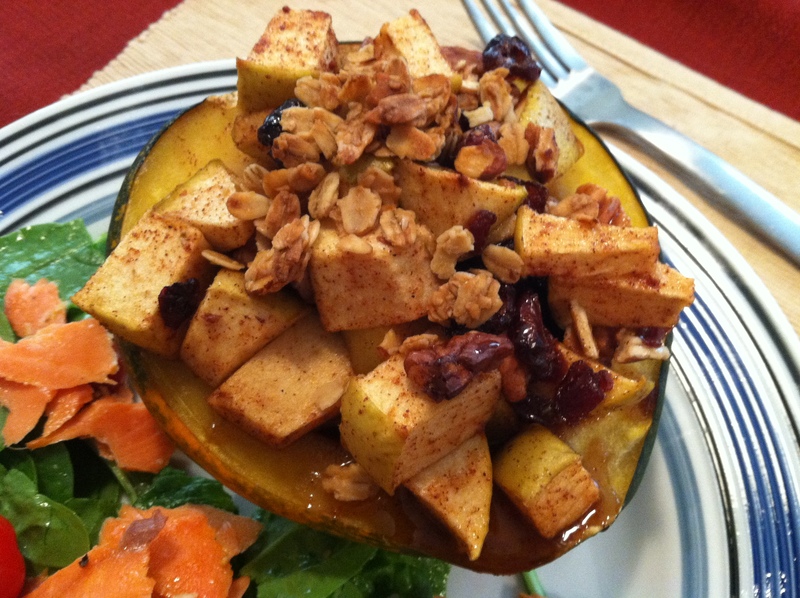 Cook the stuffed squash for 30-45 minutes, until the squash is tender and soft. Enjoy eating your delicious sweet treat! And if you have restraint along with enough other dishes in your meal to save some, I highly recommend it. This tastes A-MA-ZING cold the next day :).